Originally published in the East Bay Express on Nov. 23, 2015. Eleven people aged 20 to 62, representing city employees, residents, activists, and visitors to Berkeley, filed a lawsuit in federal court today alleging the City of Berkeley, Berkeley police, and mutual aid agencies broke the law when it used tear gas, batons, and less-than-lethal munitions against demonstrators during a December 6, 2014 Black Lives Matter protest. “The Berkeley Police responded brutally, clubbing peaceful protesters and journalists, often from behind, some in the head, indiscriminately and unnecessarily; and using profligate amounts of teargas without justification,” the complaint reads. Rachel Lederman of the National Lawyers Guild, one of the attorneys representing the demonstrators, said the plaintiffs didn’t rush to file the suit because they were hopeful that the city would respond to the complaints with a thorough review of its crowd control policies. Shortly after the demonstrations, on December 12, 2014, the Police Review Commission voted to temporarily ban the department’s use of tear gas for crowd control until a full investigation could be completed. The police department released a report in June detailing the events leading up to the December 6 and 7 protests that resulted in police using force against demonstrators and made 32 recommendations to improve the department’s conduct. Although the recommendations do not go so far as to prohibit the use of batons, tear gas, or less-than-lethal rounds as a tactic for crowd control, they do call for more training, accountability, and communication, both among law enforcement agencies involved and with protesters at the scene, when employing these tactics. The Berkeley City Council is expected to vote on Tuesday, December 1 on whether to accept the Police Review Commission’s own investigation into the department’s response and implement the city manager’s recommendations. “We were hopeful that [the investigation] would go somewhere, because it’s been such an extended process … but it is looking like it will be a repeat of the City Council passing a piecemeal solution rather than what is needed, which is a comprehensive revamping of Berkeley Police Department’s policing and crowd control police,” Lederman said of the upcoming council meeting. 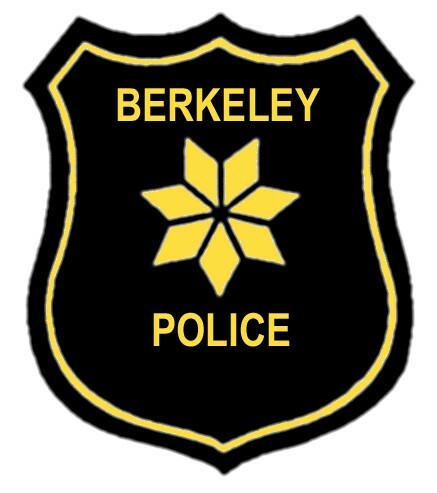 Spokespeople for the Berkeley Police Department did not return requests for comment. A spokesperson for the City Manager’s office said city staffers had not yet seen the suit and would not comment on it. The suit calls for reforming the department’s policies and seeks monetary damages for the plaintiffs. Lederman said it represents a range of people who were at the event, some of whom had decided to participate only moments before it turned violent. Others were trying to quell tensions when they were struck. Plaintiff Moni Law, a 55-year-old Berkeley resident, city employee, and UC Berkeley alumna, “was urging other demonstrators to step further back from the police line, when she was clubbed in the back from behind by a Berkeley officer, and had a burning smoke grenade thrown at her, without justification,” according to the complaint.